Q & A with Bernie – February 22, 2016 | Bernie Siegel M.D. ← Women—What Would We Do Without Them? 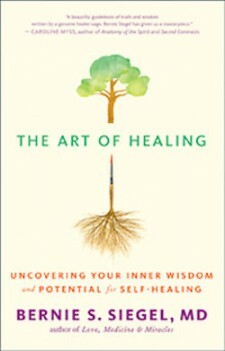 I just finished reading your book “The Art of Healing.” Thank you very much for this wonderful book. I loved it. I enjoyed it very much, and it is a great source of information about the life, love, health, and how to live in harmony. I will read it again and again!! This book helped me a lot. My Mom has frontal lobe dementia, and she is not able to talk with us, dress herself, or go to the bathroom alone. My husband has not had a job for 10 years, and I have autoimmune hypothyroidism diagnosed 10 years ago. You give me hope and faith, and the understanding that I cannot fix everything. I tried to help my mother with natural therapies in the early stage of her illness but it didn’t work—she didn’t want to take the remedies. I read any new articles about Alzheimer’s or dementia. I searched the internet trying to find jobs for my husband, too. 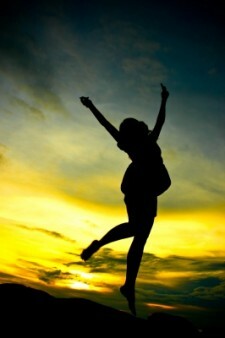 Now, I realize that I need to live my life, search my true self, and live in harmony. Thank you again for this wonderful book full of wisdom, humor, and great ideas for living meaningfully. You are a treasure. 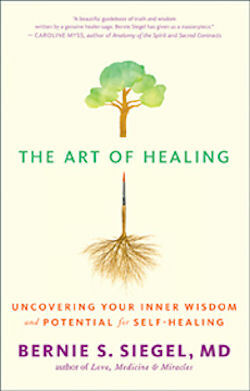 In The Art of Healing, you discovered a message that I have included in many of my books and articles over the years. The message is this: We waste so much energy fighting the nature of life when we should accept the nature of life and surrender to it. When we do, we will have peace. When our energy is restored, we stop fighting things we cannot control, and we can start building our lives. Surrender is not about doing nothing; it is about doing the right things. Before we can really help others, we must find our “authentic self.” Then we can build the self-esteem and confidence we need to live authentically. When we develop our self-confidence based on what we know is true of ourselves, people benefit from our experience and find us credible. The response from others to our authenticity gives them strength, too. I love you, and if I can help, let me know. This entry was posted in Psyche & Soma Revealed by Images, Q & A with Bernie, Relationships, Spirituality and tagged authentic self, dementia, hypothyroidism, The Art of Healing. Bookmark the permalink.